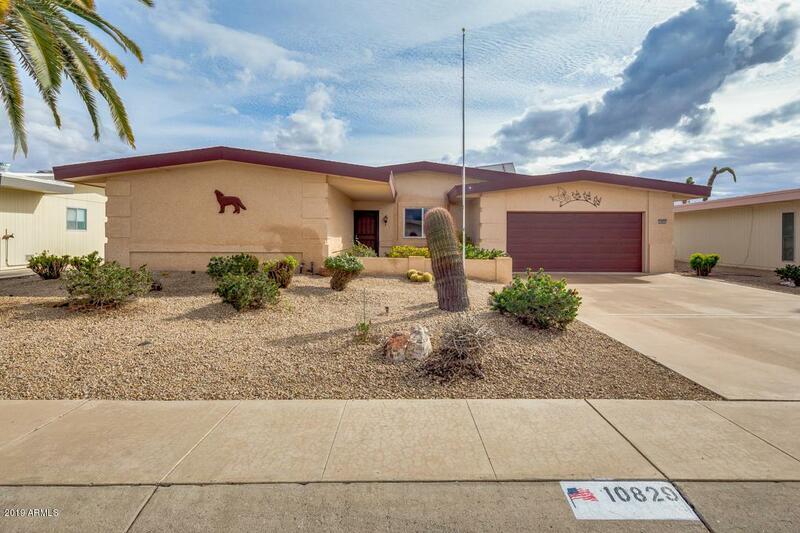 Great curb appeal with stucco exterior and north-south exposure. 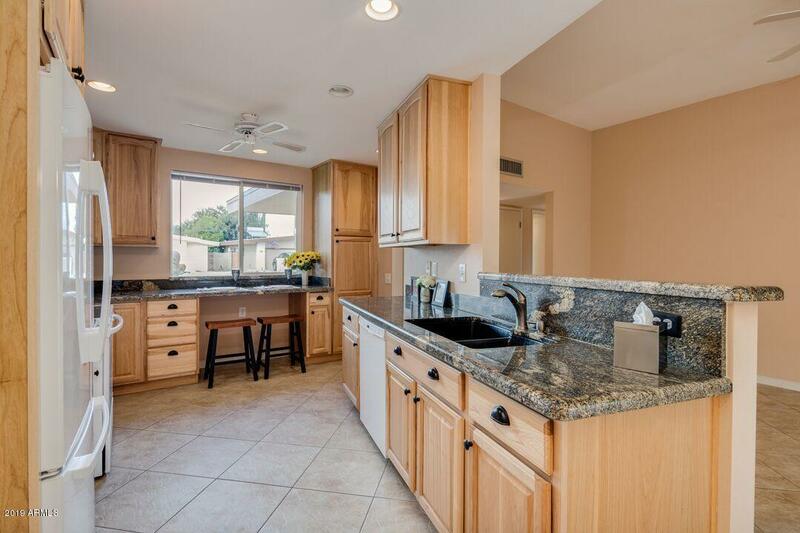 Beautiful updated kitchen with hickory cabinets, granite countertops and can lighting. 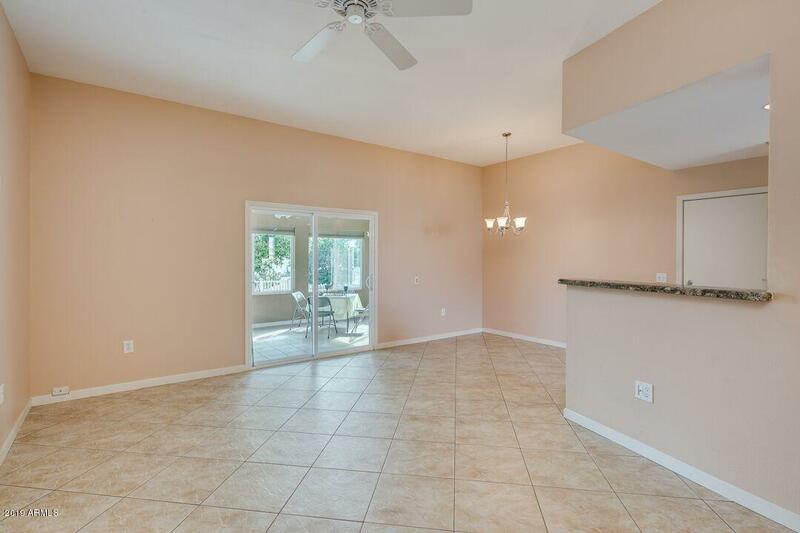 Diagonal laid tile throughout with updated carpet in the bedrooms. 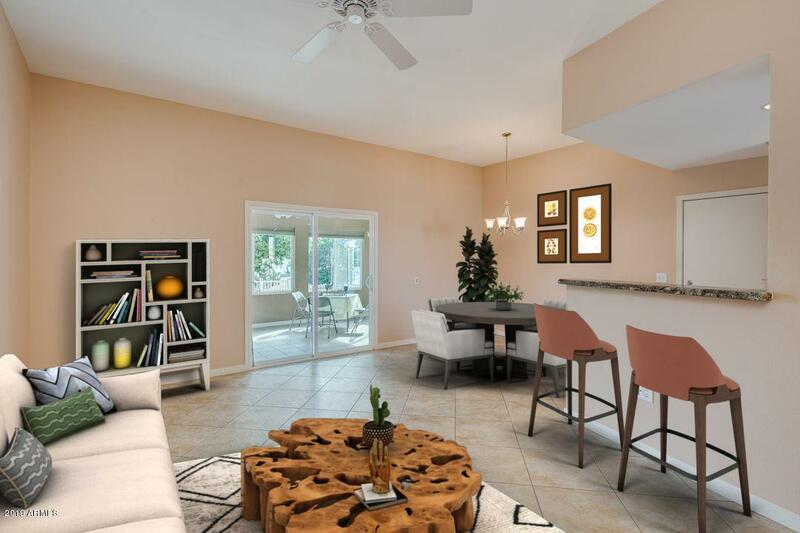 The Arizona room is a bonus with beautifully done tile floor and custom window coverings. Updated dual pane energy efficient windows throughout including the Arizona room. The garage is open and large enough for two cars and a golf car or a hobby room or workshop. Garage also has a painted floor and storage cabinets. A real gem in a quiet and convenient location.